Nuclear Energy began pre-World War II. In the 1930’s, physicists in Europe and North America were attempting to create fission using radioactive elements in their experiments. Italian physicist Enrico Fermi created the first self-sustaining nuclear reaction at the University of Chicago on December 2, 1942, bringing the world into the Nuclear Age. During World War II, physicists focused on creating effective weapons using nuclear energy. In the United States, this represented the birth of the Manhattan Project, the group which eventually created the atomic bomb. Dauphin County, Pennsylvania: On March 28, 1979, reactor #2 of the Three Mile Island Nuclear Plant partially melted down due to a failure in the cooling system coupled with an operator error. There was immediate widespread fear that the reactor would release large amounts of deadly radiation into the surrounding area. Luckily, the crisis was diverted but it showed the potential dangers of nuclear power. Northern Ukraine: In 1986, the Chernobyl Nuclear Power Plant had a fire that caused a catastrophic meltdown of the Unit 4 reactors. Clouds of radiation spread over larges parts of Europe and forced the evacuation of over 1,000 square miles of land. To this day, the evacuated area, known as the Chernobyl Exclusion Zone, is still radioactive and empty. 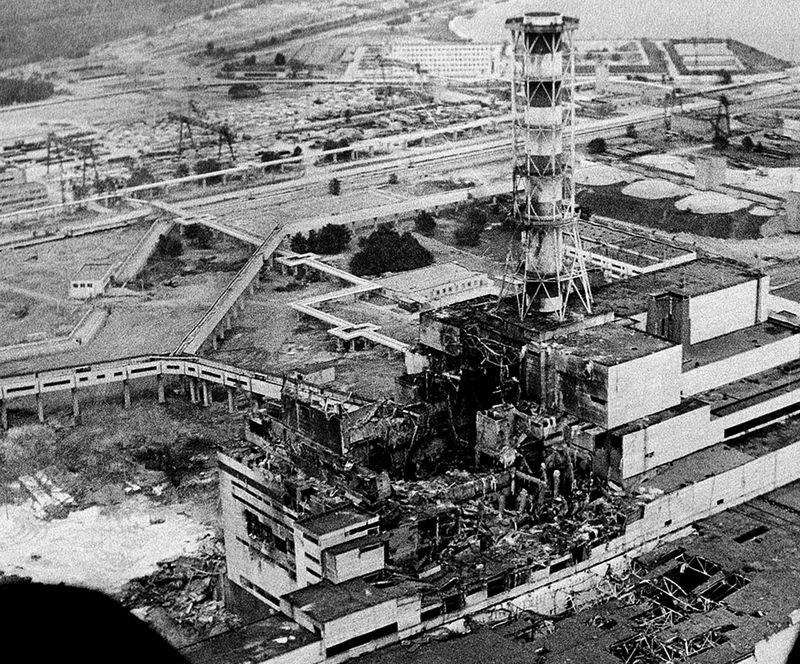 The Chernobyl incident is considered one of the worst in the history of nuclear energy. Nuclear power kept growing in the 21st century, despite the proven dangers of the reactors. Currently there are over 400 nuclear power plants worldwide, generating roughly 13-14 percent of the world’s electricity. Even with all the modern advances designed to prevent another Chernobyl incident, the world is not fully protected from or prepared for disaster. In March of 2011, an earthquake and tsunami combo hit the Fukashima Nuclear Power Plant in Japan, causing three of its six reactors to melt down and irradiating large parts of Japan and the ocean. With the Fukashima disaster, the future of nuclear power is uncertain. Since the disaster in 2011, there has been a rise in opposition to nuclear power. Many argue that the inherent risk of meltdowns and radiation of nuclear reactors, as well as the dangerous waste produced by the plants, is too great of a risk and that other forms of energy should be used. Spent fuel rods are highly radioactive, and it is nearly impossible to dispose of them. At the moment, spent fuel rods are stored in large pools of water or they are encased in large metal containers surrounded by gas. Finally opponents argue that the fuel rods and other nuclear waste are huge security risks due to their potential use by terrorists in making nuclear weapons. Advocates however argue that nuclear power is cheap to produce once the reactor is built, clean for the environment, and can be sustained indefinitely. The building of the power plant and subsequent reactors are very expensive, but once they are up and running the cost of running and maintaining them is very cheap compared to the power they produce. The reactors also do not produce any greenhouse gasses or other pollutants. When fission occurs, the only by product that is released is heat in the form of steam. Finally advocates attest to how nuclear power can be sustained indefinitely. Once a reaction is started, it needs minimal fuel to be sustained. This fuel comes in the form of fuel rods that last for years before needing to be replaced. This kind of longevity makes nuclear energy impervious to price fluctuation and shortages like oil and other forms of power. Fission: A process that splits a heavier unstable atom into at least two lighter atoms. This process creates a considerable amount of power. Usually in the form of heat. Fusion: A process in which a heavier stable element is created using two lighter and less stable elements. This process creates large quantities of power and is the energy source for stars. Fuel Rods: These are long cylindrical tubes filled with pellets of fissionable materials that are placed in nuclear reactors and can be moved to regulate heat and power. Humans have been harnessing the power of wind for thousands of years. In its earliest form, wind was captured with sails and used to power boats down the Nile River in Ancient Egypt. From there, wind power expanded greatly around the globe. In Ancient China and Persia, windmills were used for irrigation and for grinding grains. By the 11th century, wind power was common in the Middle East, where it was used in food production. Wind power, however, did not spread to Europe until the High and Late Middle Ages when returning crusaders brought back the technology from the Holy Land. Once wind power technology arrived in Europe however, it was used extensively. 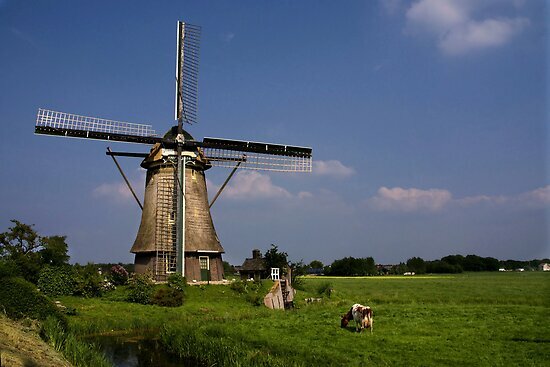 The Dutch used wind power to drain wetlands and swamps as well as providing irrigation for crops. Windmills were used exclusively in agriculture all over Europe until the Industrial Revolution, when they were replaced by steam and coal pumps. The Industrial Revolution did not spell the end to windmills;rather, it shifted the function from agriculture to energy production. As early as the 1890’s, wind turbines were being used to generate electrical power in Denmark. Since then, wind power has come a long way. Wind turbines were used prior to World War II, when the price of oil was still relatively high. They were mostly used on farms and in remote areas that could not be reached by local power stations. The largest wind turbine at the time was located on top of the mountain Grandpa's Knob in Castleton, Vermont. It was the world’s first megawatt producing turbine. However, after the war, oil prices decreased dramatically and wind power fell out of favor. The Energy Crisis of the 1970’s caused a renewal of wind power. As oil prices skyrocketed, many consumers and energy experts turned to other sources of power. The renewed interest in wind prompted the building of the first wind farms in addition to the development of more efficient designs that are still in use today. Unfortunately, many manufactures turned away from wind power again in the 1980’s due to the lowering costs of oil. This trend would last until the new millennium, when issues like global warming and the search for renewable energy sources encouraged people to turn back to wind power. Modern wind power is defined by large, industrial wind farms with massive wind turbines that produce thousands of kilowatts. They are usually situated out in the ocean or in mountainous areas where they can get almost constant wind. Presently, the largest producers of wind power are China and the United States. However, the power they produce does not account for a large percentage of either countries energy consumption. On the other hand, countries like Denmark, Portugal, and Spain lead the world in wind energy, with Demark receiving almost a quarter of its power from wind turbines. While wind turbines produce cheap, renewable energy, they also have some setbacks. The largest setback for wind turbines is that they require constant air flow. When the wind is weak or nonexistent, the wind turbines cannot produce power effectively. 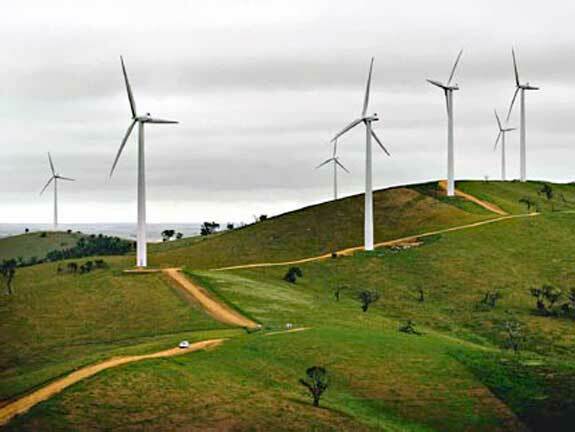 Also, due to the large land expanses needed for wind farms, there is a large environmental impact associated with them. Wind farms situated on land can greatly affect animal habitats. Turbines have become infamous for killing large numbers of birds that get sucked into the turbines blades as they fly by. Recent technological advancements have been developed to curb the bird deaths, but it still happens. Finally large wind farms have an affect on people living near them. Wind farms produce large amounts noise, which can irritate people who live near them. Some have reported migraines and insomnia do to the noise and vibrations from wind farms. Many people also consider the turbines an eyesore and believe them to reduce the value of the land. Even with all these setbacks, wind power is one of the most effective forms of renewable energy. It produces no greenhouse gasses, and wind turbines are relatively cheap to produce. These two factors will keep wind power an important part of the world’s energy sources for years to come. From the beginning of recorded history, humans have used the sun for warmth and light. However, humans did not start converting solar radiation into power until the late 19th century. In 1876, solar power came into existence with the discovery of selenium solar cells. These cells produced electricity from the suns radiation, but the electricity produced was minimal and the technology would not be utilized until the 1950’s. In 1953, the silicon solar cell was invented. This new cell turned out to be much more effective at producing power. This discovery led to the first commercially available solar panels in 1956. The first solar panels were very expensive and were not used extensively;instead of being used in the private sector, the panels were used in satellites. Both the United States government and the Soviet Union used solar panels to power their spy satellites. The majority of satellites still use solar power today. Commercial solar power did not come to fruition until the 1970s. During the 70’s, cost-effective ways of producing solar cells were discovered. Subsequently, the cost of production lowered immensely, allowing solar panels to be used extensively in the civilian market. Solar panels were used in remote areas to power everything from houses to lights and signs. Notable examples of this early use would be oil rigs. Exxon was one of the first companies to use solar panels to provide electricity for their remote oil rigs. By the 1990’s, however, solar panels were a common appliance, and many people used them to power their homes. Today, some states like Massachusetts openly encourage people to install solar panels in their homes with tax incentives and subsides. Solar Power has huge potential. It uses a renewable energy source, does not produce any greenhouse gases, and most importantly, is capable of bringing electricity to remote parts of the world without the need for massive infrastructure. However, solar power still has its drawbacks. Although much more affordable, solar panels are still very expensive to manufacture and maintain. The panels also suffer from weather patterns. If the sky is cloudy, foggy, or simple polluted, the panels will not produce electricity effectively, if at all. This can be an issue in areas of the world that receive large quantities of rain year round, or areas near the poles that do not always have sunlight. These issues can and are slowly being resolved by advancing technology, which will allow solar power to become an effective power source worldwide.